We were in Waterford when we got the call. 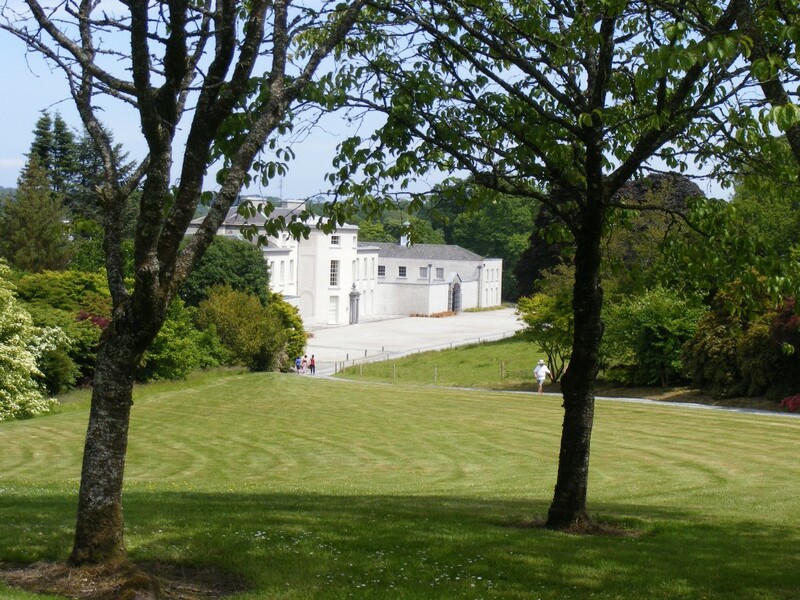 It was Mum-in-law, phoning to tell us that the gardens at Mount Congreve would be open to the public, that afternoon. As we were on the way back from a business shopping trip to my husband’s office, work beckoned. But the gardens demanded our attention. We had never seen them. It would be something to blog about. So, we arrived, parked up, signed in and were issued with a map. We set off into the hot sun, wondering why it had suddenly decided to blaze up and threaten bare skin. Of course, we had no suncream. We sought shade and clambered up huddling stone steps. It felt a little like exploring Clyne Gardens for the first time. Clyne is a park near my childhood home in Swansea. 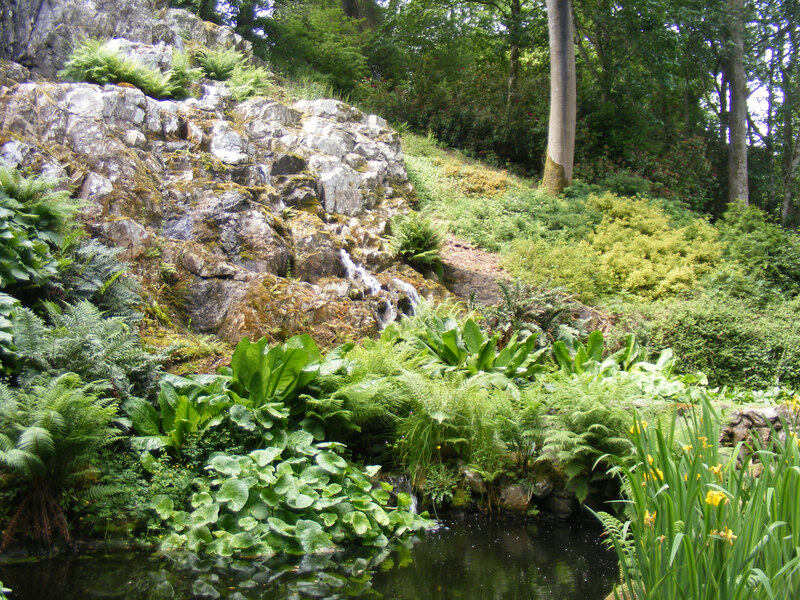 It is the grounds to Clyne Castle and includes many charming features: a fairy-tale cottage, a Japanese bridge, tower and gazebo. There are lots of shady nooks and unusual plant life to admire. There’s something about a waterfall that symbolises life, freedom and flow. I love the rushing sound of them and the feeling that they could cleanse all worry – if you could only stay near one for long enough! We moved on, to find ourselves overlooking a brightly coloured pagoda. It’s appearance was enchanting . . . out of reach. Pagoda – great fuel for the imagination. I’m sure it would look much prettier without the scaffolding! “What is a pagoda for?” I asked hubs, breaking the magic. I wondered if it could be a venue for live music, or if the gentry just sat out there in summer. 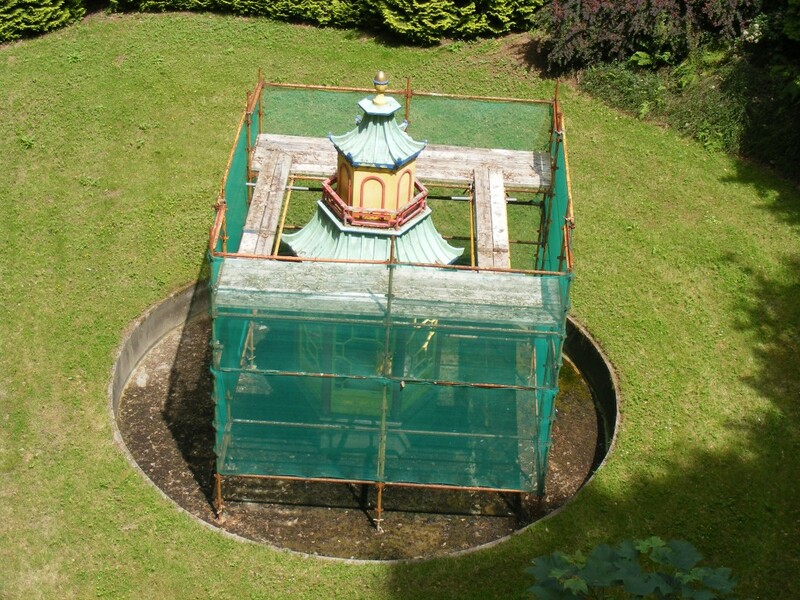 A spot of Internet research has since revealed that the pagoda is of Chinese origin. These buildings would traditionally have been a place of worship. So I was completely wrong then! I must admit, we got a little lost at this point and wondered why our water bottles were back in the car, not providing blessed hydration. However, our wanderings did lead us right up to the house itself. We glimpsed it, first of all, peering through trees. We headed down towards it, only to find a chain, preventing access. The owner: Ambrose Congreve, died recently and I think all of the contents were cleared in an auction. It seems a shame that people will never have the opportunity to see the house, complete with original furnishings. Before his death, Ambrose Congreve had spent a long time remodelling and embellishing the building. The outside of it is stunning, but as I stood there, admiring the white curve of its construction, I felt a sense of loss. 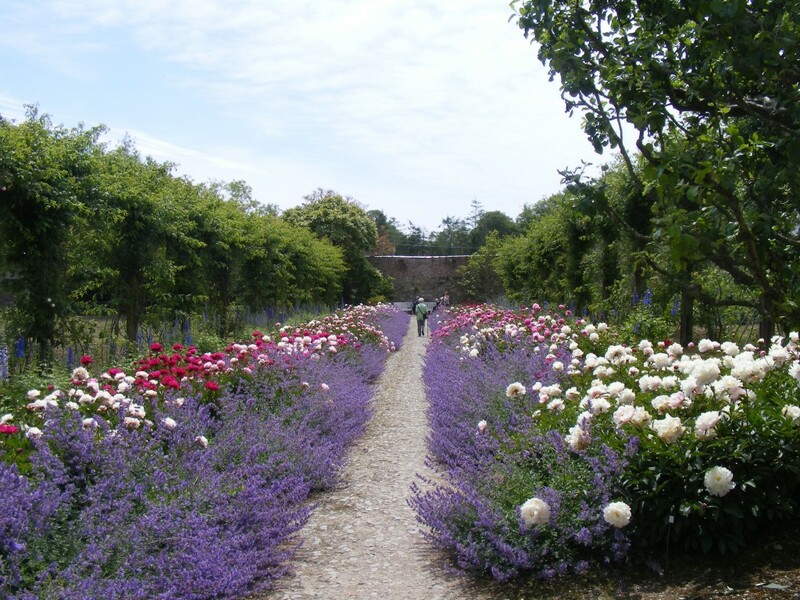 We turned back through the gardens, faced the blooms and took the memory of their beauty home with us. The way home, through the flowers.